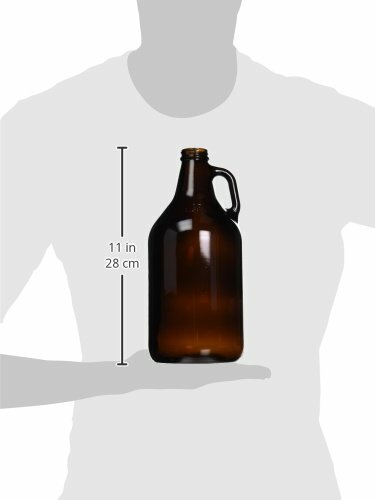 This amber growler is reusable, made of high quality glass and helps protect your beer from damaging UV rays. Perfect for home brewing. Stands 11” high and holds 1/2 gallon (64 fluid ounces).